The building science professionals at Clark Seif Clark help to protect workers and building occupants from exposure hazards and concerns. We’ve witnessed numerous avoidable incidents where contracting firms released environmentally significant materials into indoor spaces during construction projects. Virtually every residential, commercial and institutional property will undergo some type of remodeling, renovation or construction activity during their usable lifetime. Frequently, property owners and managers do not have the ability, luxury or foresight to completely or partially vacate these buildings slated for disturbance. 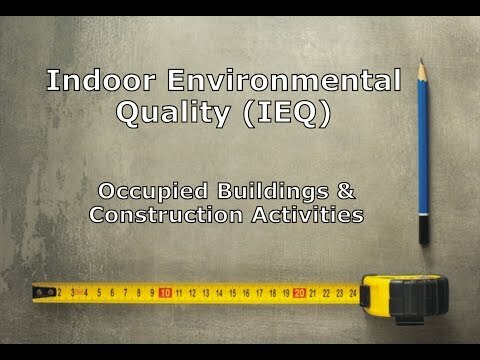 Construction activities in an occupied home, school or building can present a range of indoor environmental quality (IEQ) concerns and result in potential occupant and construction worker health issues if the proper precautions are not utilized. The resultant IEQ issues are often caused by the release of airborne particulates, biological contaminants and/or gases. The National Institute for Occupational Safety and Health (NIOSH) reports that particulate material, such as dusts and fibers, are likely to be produced during construction and renovation activities. Nontoxic dusts are irritants and can exacerbate lung conditions such as asthma and chronic obstructive lung disease. Materials that contain fibers, such as fiberglass composite materials or insulation, can irritate the skin, eyes and respiratory tract. Toxic dusts, containing asbestos, polychlorinated biphenyls (PCBs) or lead, can cause serious long-term health effects. Chronic dampness from prior water intrusions can lead to increased bacteria, mold and other microbes. If not handled properly, these microbial-contaminated materials could disperse into the air and other parts of the building.